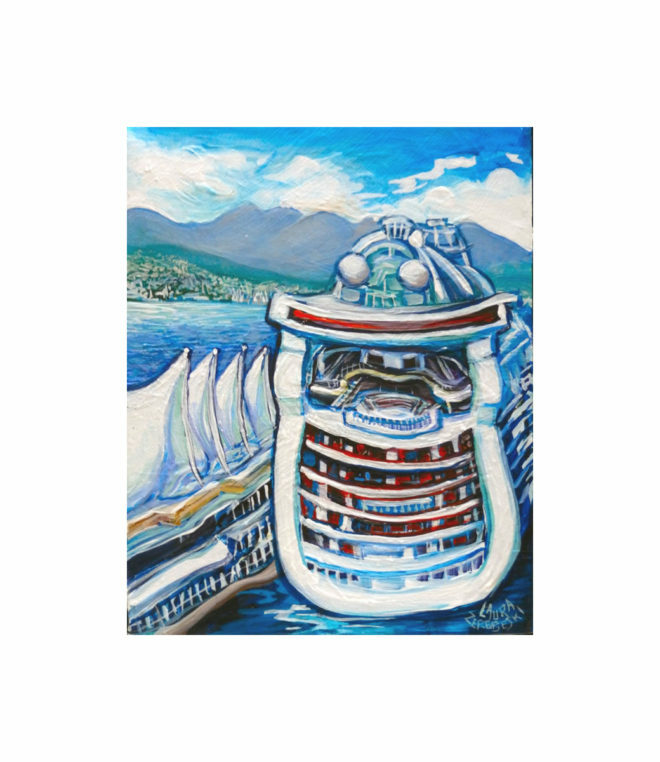 Vancouver’s cruise ship port is big business. On a busy day, Vancouver gets an influx of ten thousand tourists on focused souvenir searches. The phrase “Great White” brings three concepts to mind: Great White North, Great White Hope, and Great White Shark. One is a destination, one is an emotion or sense of ethnic divide, and one is a living thing that is both feared and hunted.